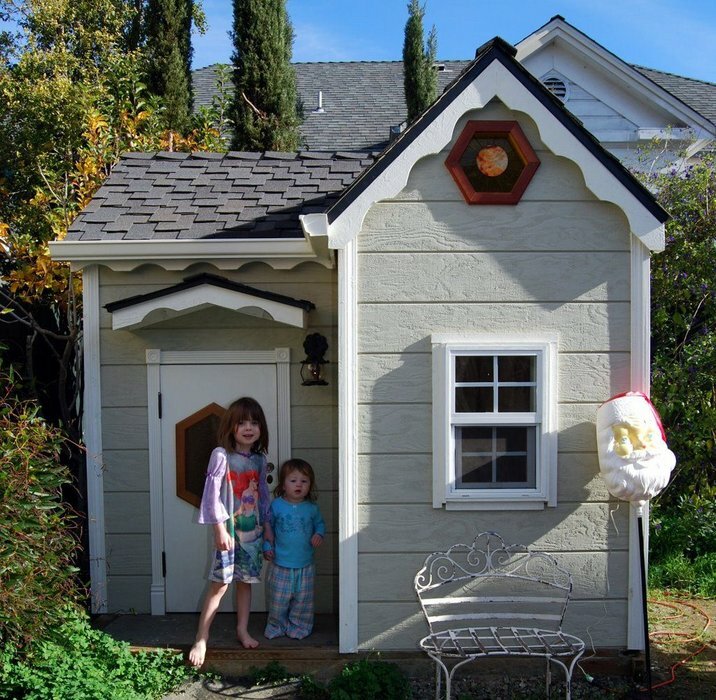 A playhouse is like a cute miniature version of a very simplified house and, like every house, it can be customized in all sorts of ways and can even receive extensions and additions. This can turn out to be a very fun week-end project which both the kids and the parents can enjoy. 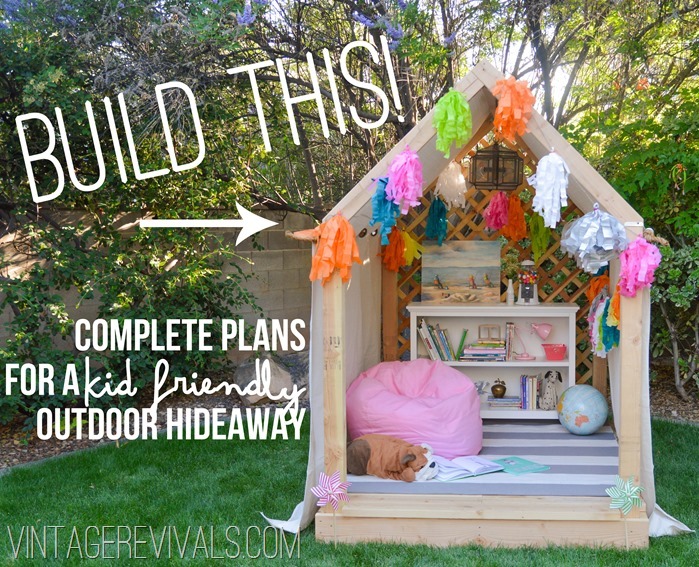 Check out some of the ideas we found and make a list of all your favorite features so you can then include them in your own playhouse plans. 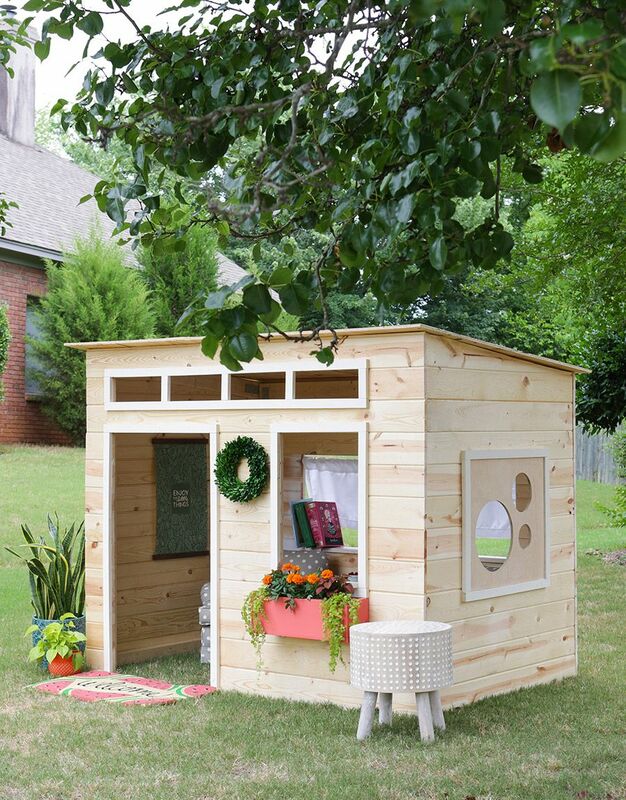 Isn’t this playhouse simply adorable? It’s so cute and small and at the same time chic and modern. It has windows, a planter box and a slightly angled roof and the interior is wonderful too. Of course, all the little details, accessories and furnishings are personal to this project so you’ll have to come up with your own way of customizing the playhouse once you’ve built it. You can find the plans and more details on jenwoodhouse. Before you start planning and building your playhouse, you need to decide where you’re going to put it. Will it be. an indoor project or an outdoor hideaway? Also, how will you be using it? It’s not just the kids that would find such a structure adorable and practical but the adults too. For example, this could be a perfect reading nook. Put it in the garden under a tree and put inside a few bookshelves and a comfortable chair or pouf. As far as the playhouse plans are concerned, you can find all you need to know on vintagerevivals. Yes, we know we said that playhouses are small and simplified versions or a house but there’s a limit to how small or simple such a project can or should get. Take this princess playhouse plans featured on instructables. This playhouse has a lot of cool features including vintage light fixtures, stained glass windows, bookshelves, a TV, speakers on the ceiling, a phone, a doorbell, gutters, laminate flooring and even a faux fireplace. 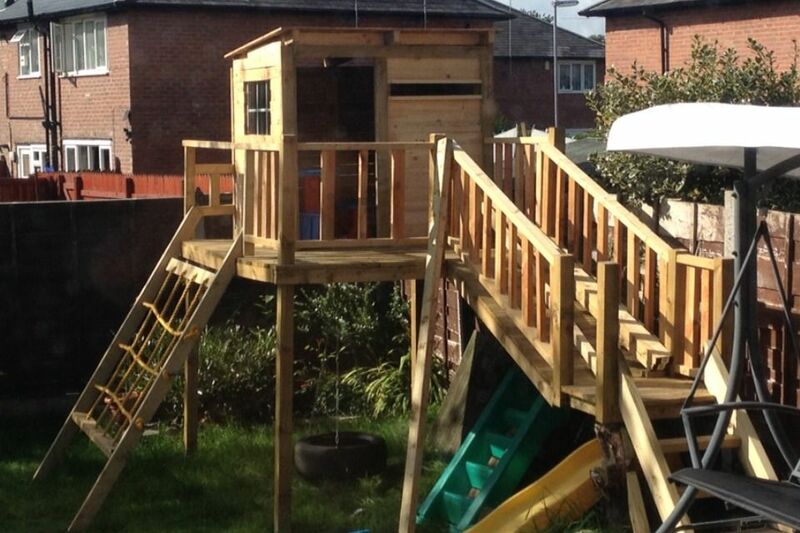 A playhouse, just like a regular house, can be extended and can include additional features such as, for example, a slide, a swing or a rock climbing wall. With all these extra features, this becomes a real playground. Obviously, the plans wouldn’t be simple and you’d need plenty of space for the project but it can all be done without many problems. You can find details on instructables. If you want to take things further, perhaps some plans for a playhouse fort would interest you. It’s a perfect backyard project assuming that you have the space, time and resources for it. Obviously you need to start with the frame and then to build the bridge. On instructables you can find the playhouse plans and details regarding every step of the project. 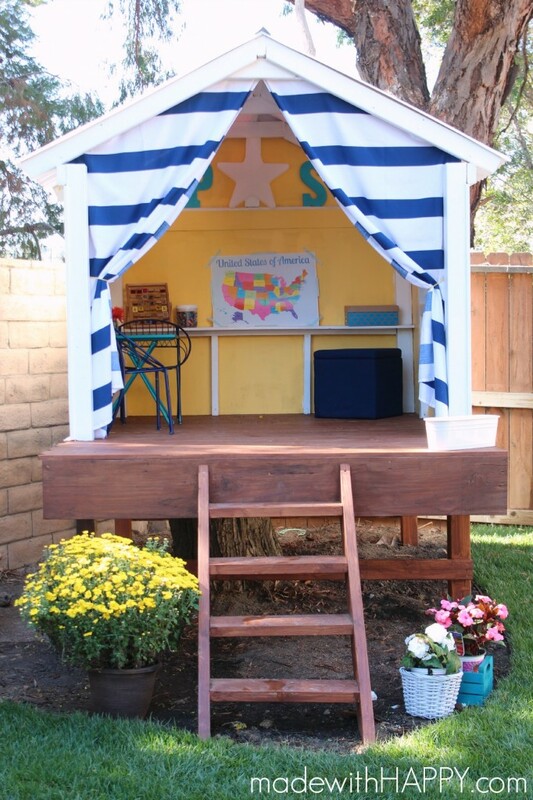 It can be pretty fun to pick a theme for your playhouse plans and to design the structure based on that. 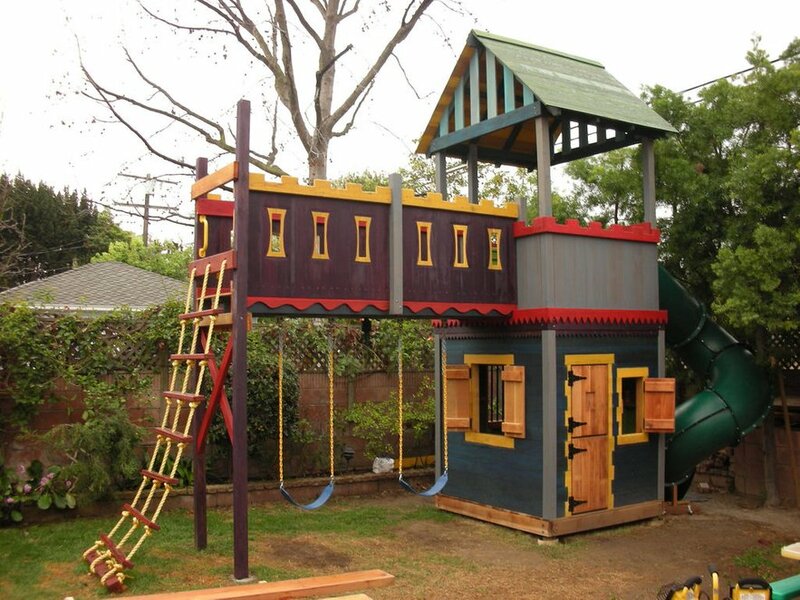 A cool example is the pirate ship playhouse featured on instructables. Maybe the design in its early stages isn’t actually very suggestive but once you customize the playhouse with all the details and features, it all starts to take shape. Painting the exterior really helps. Playhouses can be eco-friendly too and there are actually a lot of things you can borrow from projects involving actual residences and houses. Take this one for instructables for example. It has a green roof which really makes it stand from other outdoor playhouse projects and it also looks super charming thanks to its wooden structure and in particular that lovely little porch with tree branch columns. 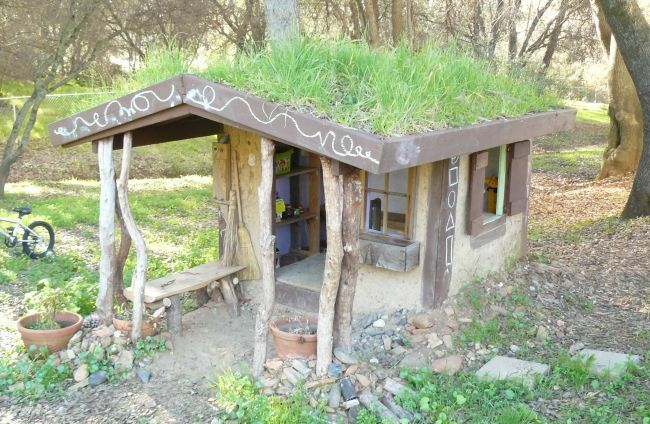 Speaking of eco-friendly playhouse plans, check out this example from instructables. The playhouse features a solar panel on its roof. Well, the panel doesn’t actually provide energy for the playhouse itself. It just so happens that the playhouse’s roof was the perfect surface to mount this on but you get the idea. 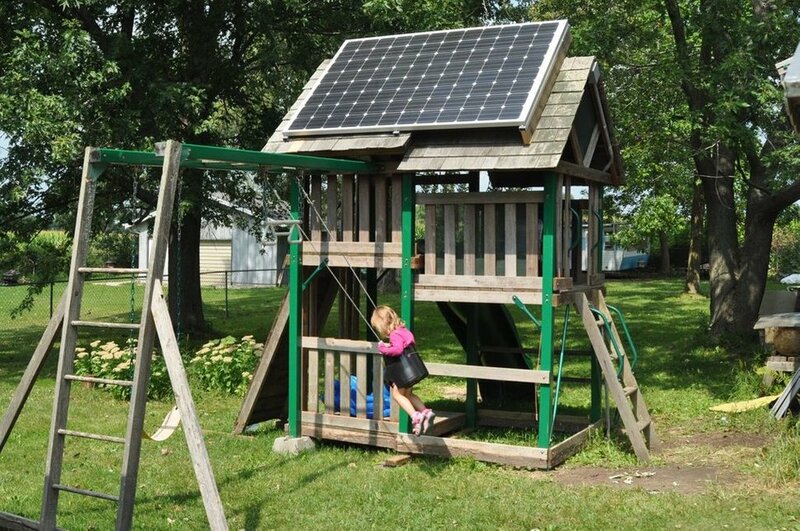 If your playhouse plans include any electric features, this can actually work out great. An indoor playhouse is sometimes the only option if the backyard is completely out of the question but there’s a problem here. 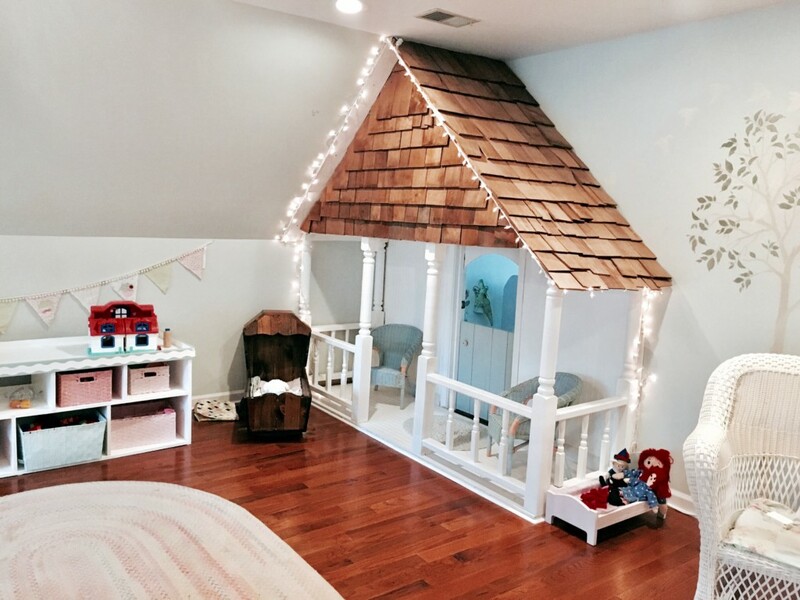 There’s not much space for a playhouse, especially if you want to put in the bedroom where the bed occupies a lot of space already. Maybe you can work with that and make the most of the situation by building the playhouse around the bed. It’s an ingenious idea which comes from ikeahackers. What about a treehouse? It’s sort of like a playhouse and it doesn’t actually have to be built in a tree, even though the name suggests that. 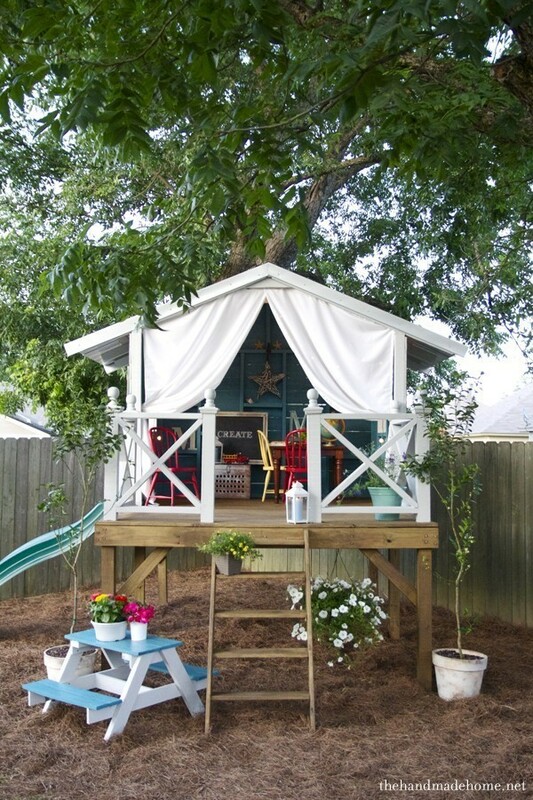 Sure, having a giant tree in the backyard with big and strong branches able to hold and support anything would be pretty cool but if that’s not the case you could just elevate the playhouse so it doesn’t sit at ground level and position it close to a tree so you at least get the feeling of treehouse. Check out madewithhappy for details. 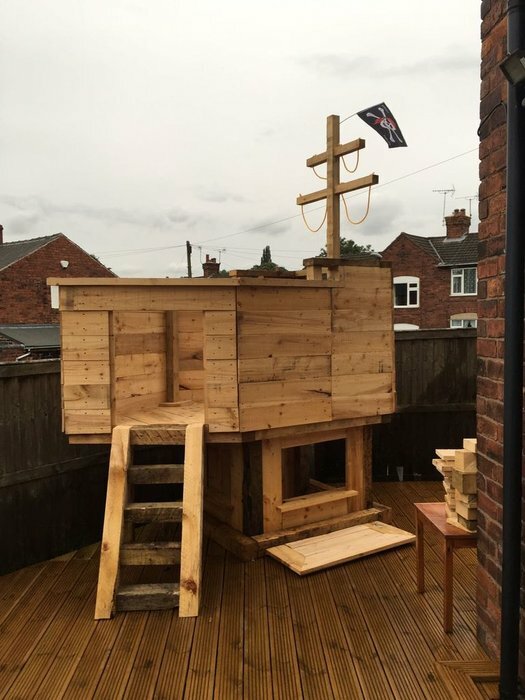 In case you’re a bit concerned about the cost of building a playhouse from scratch, especially with all the fancy features included in some of the plans we showed you so far, you should know there are also ways to stay within budget and to keep the cost low and one option is to use pallet wood. 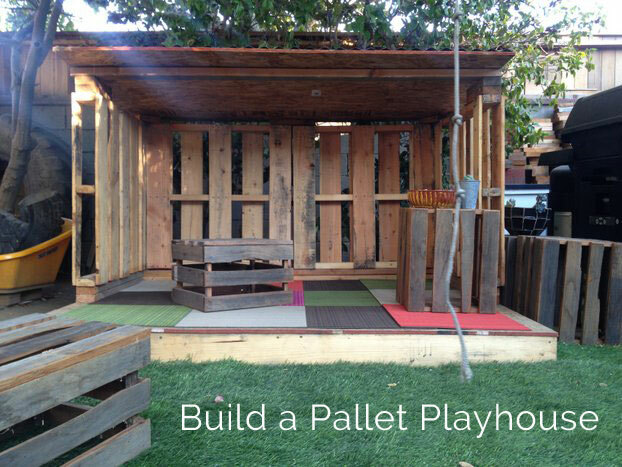 It’s a great way to upcycle wooden pallets and an ingenious way to save time and money when building a playhouse. Check out builtbykids to see how this could look like. 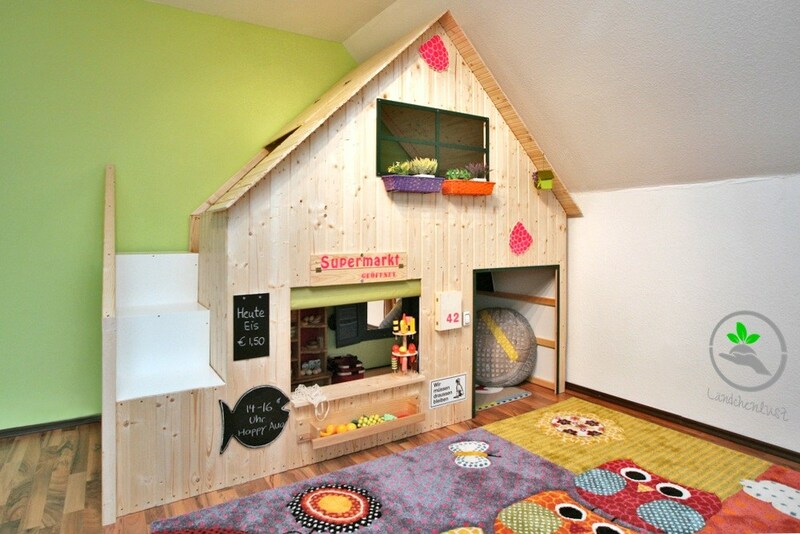 An indoor playhouse can look fun and cool and can be cute and practical without also taking up a lot of space. In fact, you can save some space in the room by incorporating some of the furniture into the design of the playhouse. For example, you can make it look like a porch and just build a frame with a decorative roof. You can put a chair or two on the porch and that can look adorable, as presented on allthingsheartandhome. 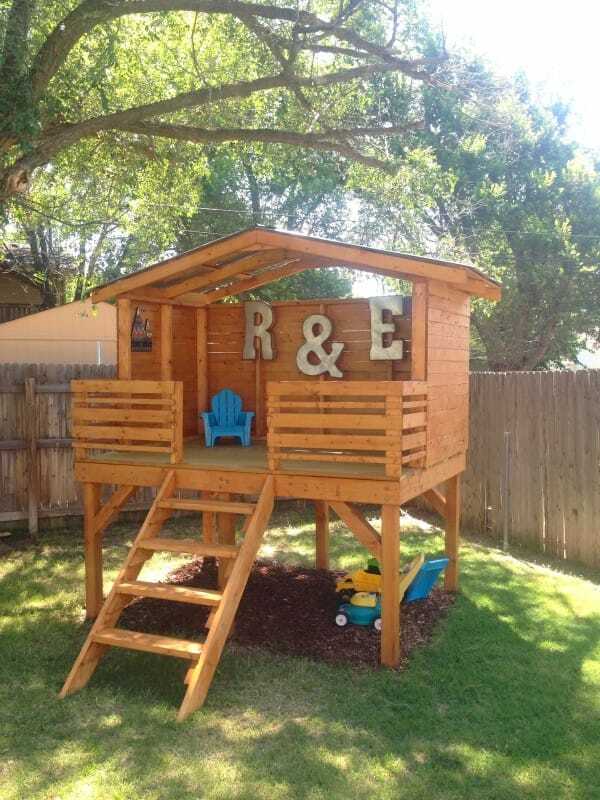 While a playhouse can be a lot of fun, you can also think of it as a cool backyard hideaway and a great place for creative activities such as arts and crafts projects. it can also be a nice and cozy space for reading or even doing homework. You can make it extra cozy by making it look like a sort of breezy summer pavilion, with fabric curtains, handmade decorations and some potted plants on the porch. You can find these playhouse plans on thehandmadehome. There’s no point in accessorizing a playhouse with a lot of things like furniture or decorations since the kids won’t probably pay attention to these details anyway and some of the items might actually be in the way when they’re playing and moving around. 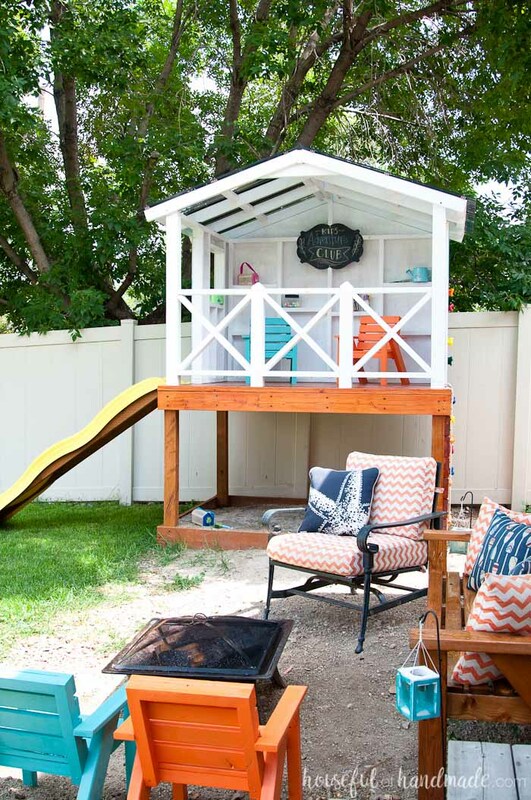 Of course, that doesn’t mean you can forget about customizing the playhouse in any way. Find a way to make it look fun and charming while keeping it simple. You can find some inspiration on housefulofhandmade. The post Easy Playhouse Plans For Fun And Creative Parents appeared first on Home Decorating Trends – Homedit.